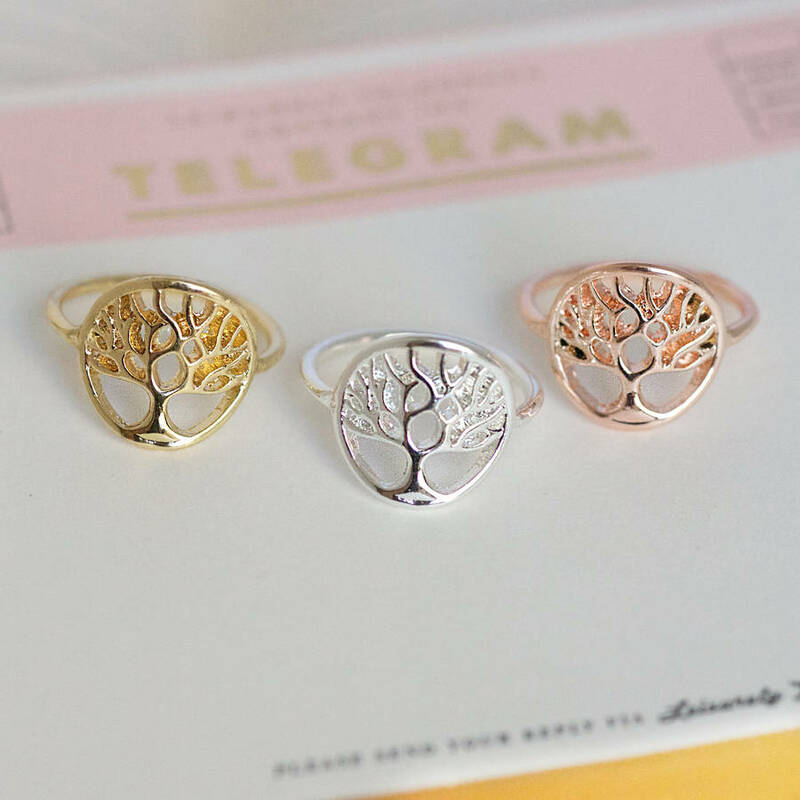 Unique tree of life ring. 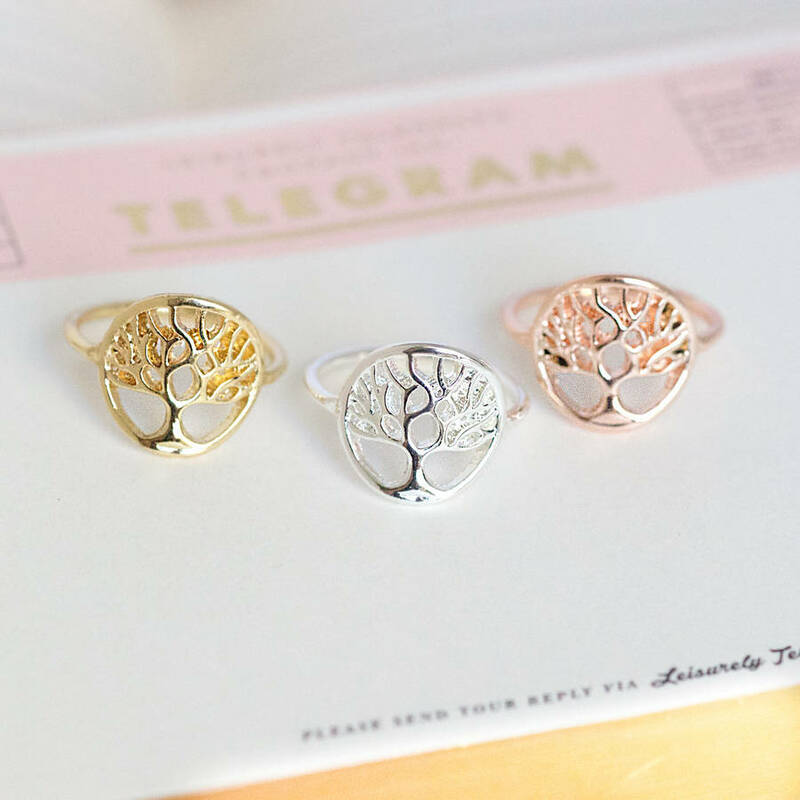 Make a statement with this unique tree of life ring. It would make the perfect gift for any loved one or family member. 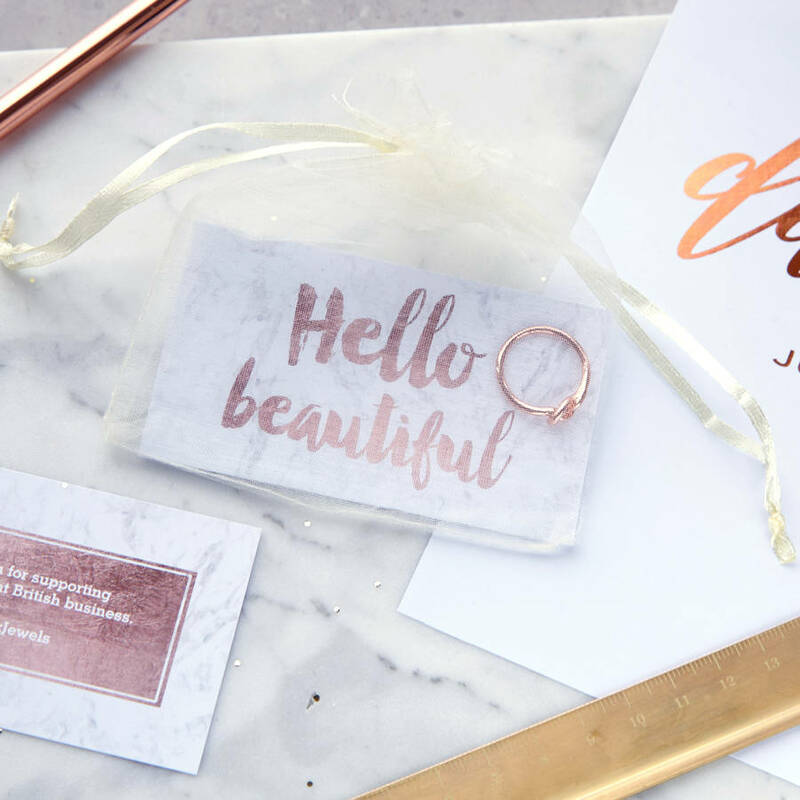 The ring is available in gold, rose gold or silver tone. 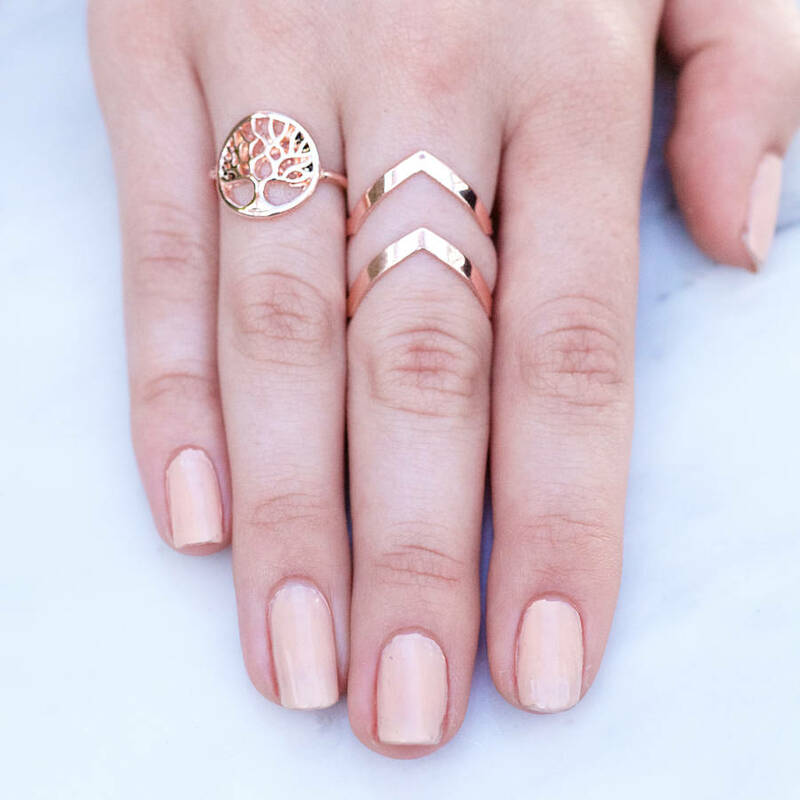 Go for the understated look and wear it alone or stack it high with a selection of our other rings available in our store. 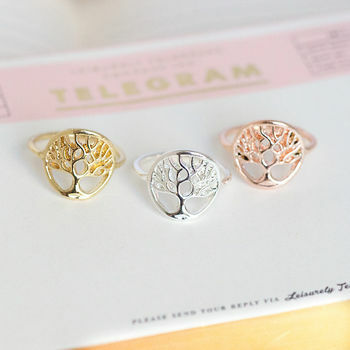 Choose from a yellow gold, rose gold or silver colour. Gold or silver tone alloy. Tree of life disc measures 15mm. Ring diameter measures approx 16mm or ring size L.
This product is dispatched to you by Junk Jewels.